Welcome to Bead3.com by BeadBuddies!!! 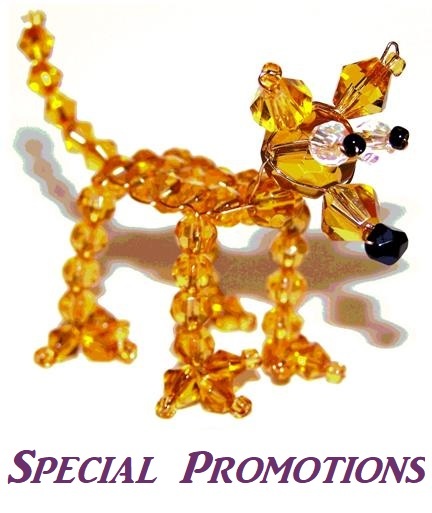 BeadBuddies is family owned and operated by Rod and Kim Connors. We are located in Tampa, Florida. We have been selling and shipping beads online for over 14 years! We stock all the beads we sell and have fast shipping times. Kim has been beading for over 30 years and we started our business because we had trouble finding the beads we needed at reasonable prices. We are beaders and also use our beads and supplies for our own designs. Quality is extremely important to us! We love to shop on the Internet and want you to enjoy shopping from us! We designed our site so you don't have to register, get a password, or fill out long forms just to see our prices. Everything is easy to find and our pictures are designed for fast download speeds! We sell to everyone including hobbyists, wholesalers, designers, and bead stores. We purchase our beads directly from the manufacturers to offer you the best possible prices. We offer our products at extremely low prices because we have very low overhead and purchase in bulk. We also negotiate with competing factories to make sure we get the best price! We always purchase the highest quality available and you will find our prices are a fraction of the price you pay elsewhere for lower quality. As one of our customers you deal directly with the owners of the business. When you have a question you get a response from someone who knows beads and the bead industry. We truly value all of our customers and you will experience this first hand when doing business with us. We currently offer Free Shipping on all United States orders over $60. However, even if your order is under $60, shipping charges are very reasonable (usually $3 - $4). We accept most major credit cards for online payments. We also accept money orders if you want to mail us your order. We hope you enjoy shopping with us and sincerely thank you for your business!